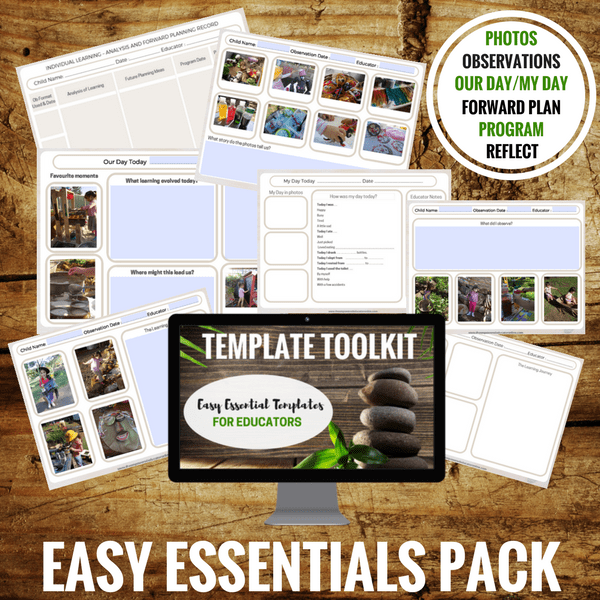 This template pack helps educators to simplify observations, parent communication, forward planning and family communication. Easy to type in own text and insert photos from your own computer files. They also work well if you just prefer to print and type! Designed specifically for busy,time poor or overwhelmed educators who still want to provide high quality documentation, programs and parent communication tools for their early years service but do not want to waste valuable time fussing around with creating templates and trying to figure out if they have met all expectations in what is often an overwhelming level of paperwork! HOW WILL THIS TEMPLATE PACK MAKE PLANNING EASIER? 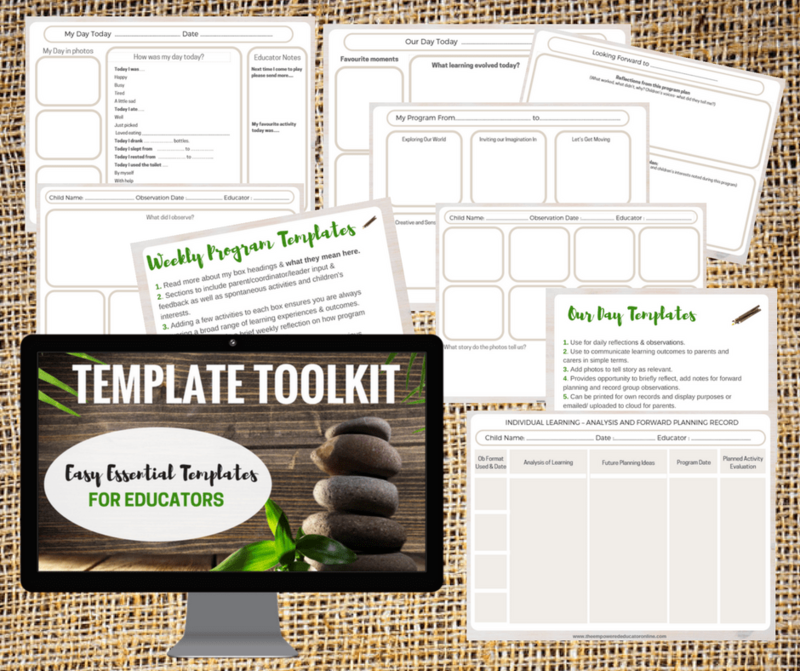 This template pack was developed after many requests from educators seeking simple to use templates that cover the basics required without the clutter and wasted time writing! Designed specifically for busy,time poor or overwhelmed educators who still want to provide high quality documentation, programs and parent communication tools for their early years service but do not want to waste valuable time fussing around with creating templates and trying to figure out if they have met all expectations in what is often an overwhelming level of paperwork! This pack helps educators to simplify observations, parent communication, forward planning and family communication. Easy to type in own text and insert photos from your own computer files. They also work well if you just prefer to print and type! Template for weekly/fortnightly/monthly programming with learning outcome areas already defined – no need for numbers and codes! Simply click and add in a few activities to each box. 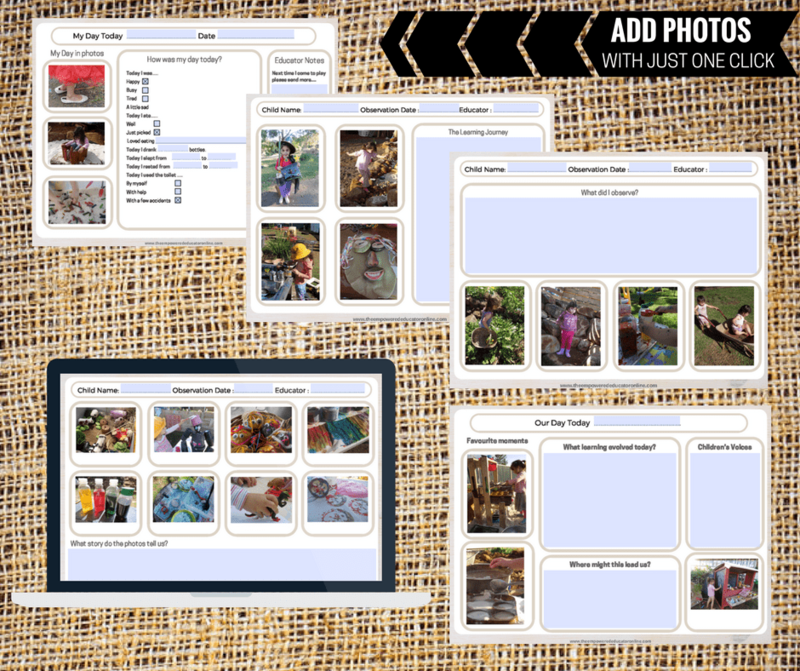 Easy to complete templates for photos, learning journey’s and observations. Our Day Template – family communication tool/obs/reflection/forward planning. Forward planning and analysis of learning template/tool to organise evidence and link the planning cycle together ensuring you aren’t doubling up on documentation and wasting valuable time! You will receive a confirmation email with an official receipt and links to download the following resource pack immediately after payment is completed. Templates in a zipped file for easy 1 click download!